In developing our Tropo Camisole pattern it feels like we’ve sewn enough fold-over elastic (FOE) to reach to the moon and back! We’ve assembled here everything we’ve learned about FOE along the way to help you get started with sewing your own FOE! FOE stands for Fold-Over-Elastic. It is a lightweight elastic that has a crease down the middle of it. It often has one shiny side (usually considered the right side) and one matte side (usually considered the wrong side) and can be found in a variety of colors and a variety of patterns. The crease allows you to fold the elastic perfectly in half. FOE can be found in a variety of qualities and you may find some are soft while some are scratchy (particularly metallic colors). Some FOEs have better recovery than others (recovery is how well it springs back after you stretch it). Some FOEs are thicker than others. Some FOEs have more stretch than others. When can I use FOE? Fold-over elastic is most commonly used in garment construction to bind the edge of a garment and is particularly used on knits because the elastic-bound edge stretches. This is a clean edge finish. For our Tropo Camisole pattern we use FOE as an edge finish and as straps. FOE on the edge of a garment finishes the edge at the width it is cut (meaning no fabric is lost to a seam allowance or folding under) so if you want to finish an edge with FOE but your pattern instructions call for a different edge finish, make sure you trim away the excess fabric before applying your FOE. Likewise, if your pattern calls for a FOE finish but you want to fold your edge under or sew on a facing, make sure you add a seam allowance to your pattern. 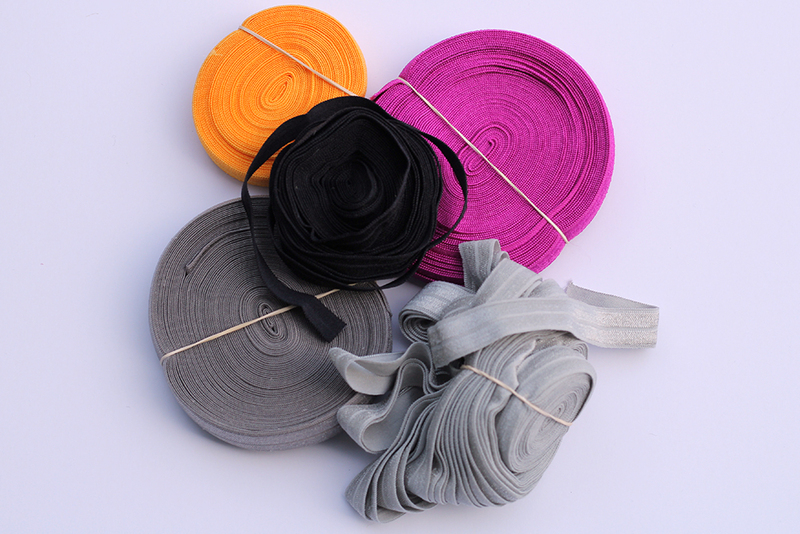 Fold-over elastic comes in a variety of sizes usually ranging from 3/8″ to 1″. 5/8″ FOE is the most common. The width refers to the full width of the elastic so when you sew it to the edge of your garment it will finish at 1/2″ the labeled width. Generally, the narrower the FOE is the more it stretches and the wider it is the less it stretches. 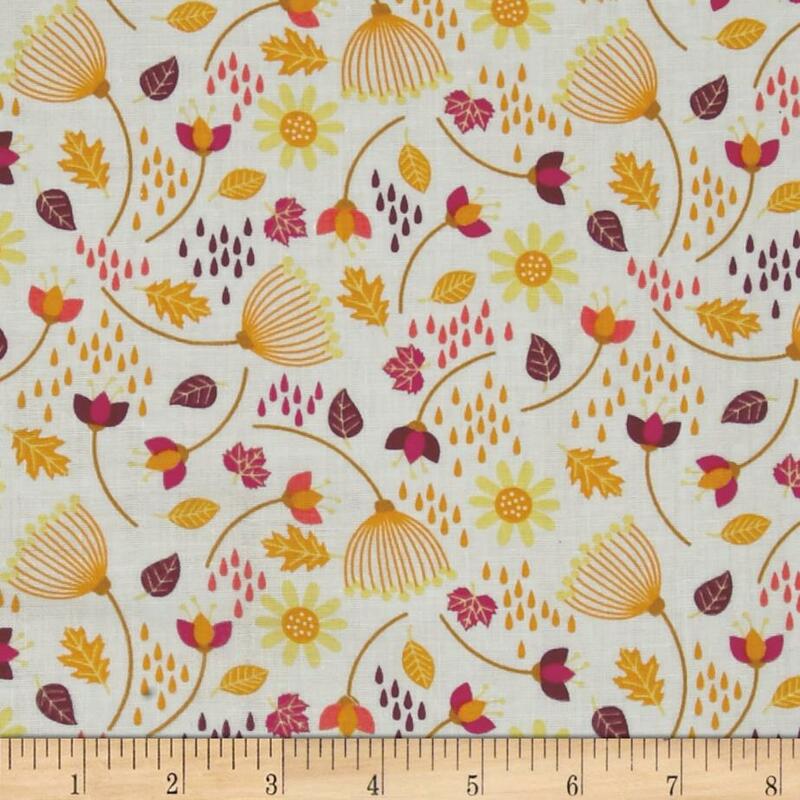 You can often substitute a FOE of any width for another, but make sure you sew a sample swatch to account for differences in stretch because you may need different lengths. 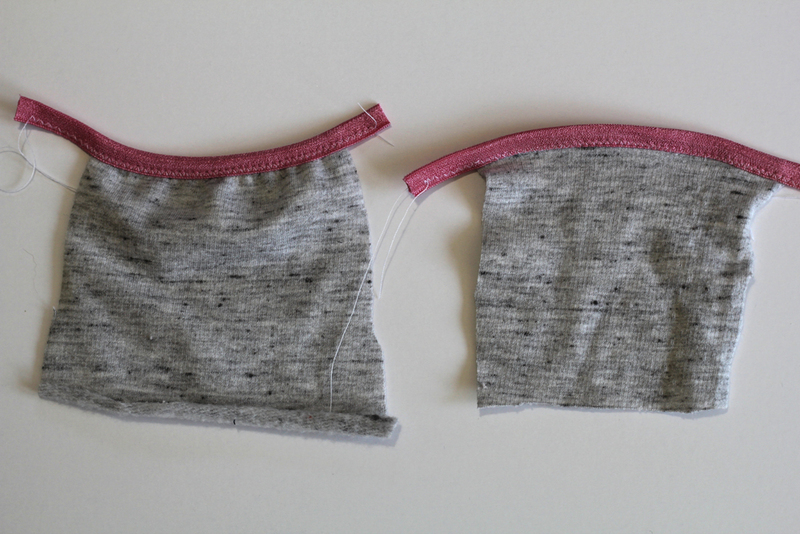 Here we show the same pattern (our Tropo Camisole) sewn in 3/8″ FOE and 1″ FOE. Where can I find FOE? While you can find fold-over elastic in most fabric stores we suggest you don’t buy it in pre-cut packages like what you find in big box stores because they may not be of a suitable quality, it’s wasteful if they are cut to the wrong length, and it is comparatively expensive. We often source our FOEs from Etsy and from Ebay. 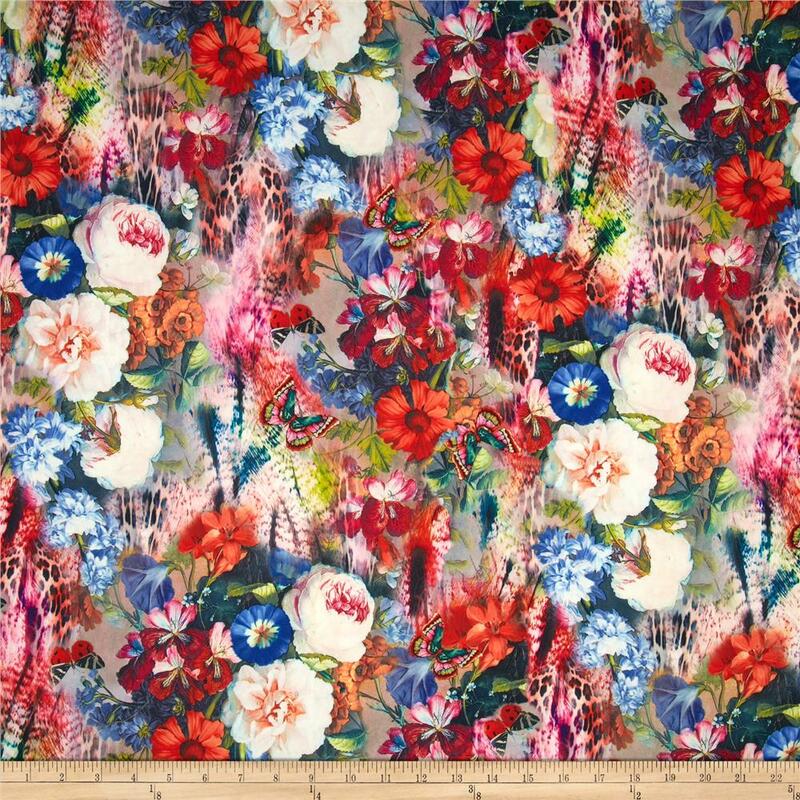 We can personally recommend CoutureCraftSupply on Etsy and LaceAndTrims on Ebay. How do I sew FOE? Place the fabric wrong sides together with the elastic and line up the edge of your fabric with the center line of the FOE. Pin the FOE in place. We strongly suggest leaving an extra inch of FOE on either end of the fabric to make it easier to get a clean feed of your elastic at the start of your fabric. Sew the FOE to the elastic. We suggest a starting point of stitch length and width of 2mm though you may find you prefer a different size stitch for your specific machine, fabric, and elastic. You can sew from either the front or the back side. This secures the elastic to the back side of the fabric. This stitch line will not be visible in your finished garment. Fold the top of the FOE down and sew through the FOE again. That’s it! On the wrong side you will be able to see the two stitch lines. How do I get the right tension when sewing FOE? Practice, practice, practice! Every time that we work with a new FOE or a new fabric we sew a sample swatch. You want to make sure that you have a bit of tension on your FOE as you sew so that you don’t stretch out your fabric (right) but if you pull it too tight then you will end up gathering your fabric (left). Thank you for explaining the meaning of the measurements of FOE. Being new to this kind of elastic, I couldn’t tell if 5/8″ FOE meant the width of the starting product or the finished width of the bound edge. Your photos showing errors and how to interpret them were also very helpful as were the recommendations for sources. I am ready to try some!